A beautifully designed and considered multipurpose WordPress template, Trades is clean and minimal, amazingly versatile and user focused. Say hello to the last theme your business will ever need. 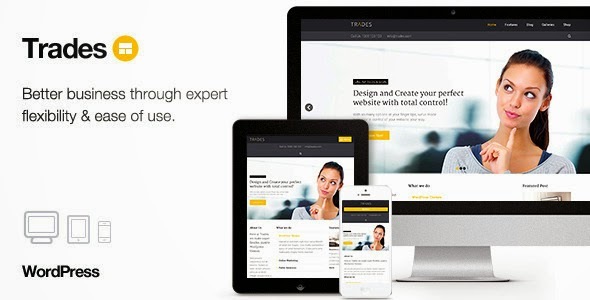 Item Reviewed: Trades - Multipurpose Business WordPress Theme 9 out of 10 based on 10 ratings. 9 user reviews.